Legal affairs analyst Jon Silverman considers whether a prosecution is likely after a coroner said ITN reporter Terry Lloyd - shot dead by US forces in southern Iraq in March 2003 - was unlawfully killed. A finding of unlawful killing is the strongest verdict a coroner can record. The standard of proof required to reach such a verdict is "beyond reasonable doubt" and thus carries the same weight as that of a criminal court. By referring the papers to the director of public prosecutions and the attorney general, the coroner, Andrew Walker, is inviting them to consider a criminal prosecution against those responsible for Terry Lloyd's death. But the decision rests with the legal authorities. The director of the campaigning group Inquest, Deborah Coles, said the record of the DPP in acting on such referrals was not a good one. "This is a significant verdict and a criminal prosecution should follow if those held to be culpable can be identified. "I would expect the DPP, at the very least, to order a thorough review of all the facts which might yield evidence which was not available to the coroner." However, history does not point to a prosecution. In 1992, the same coroner's court, Oxford, returned verdicts of unlawful killing in the case of nine British soldiers killed by US "friendly fire" during the first Gulf War. 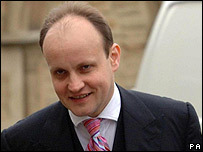 Lawyer Mark Stephens represented the families of those killed. "In that case, the coroner did not send the papers to the DPP or the attorney general because those responsible for the deaths were outside the jurisdiction. "There was a diplomatic fall-out from the verdicts but nothing more. "But law has moved on and I would think the chance of a prosecution is much stronger this time." The intentional killing of a civilian or non-combatant by armed forces is unlawful under the first additional protocol to the Geneva Conventions of 1977. 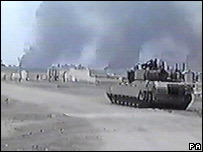 In an international conflict such as the invasion of Iraq, it could be prosecuted as wilful killing. The statute of the International Criminal Court specifies that an accused is to be convicted if the offence was committed "with intent and knowledge". The original 1949 Geneva Convention rules specifically provide safeguards for journalists in time of conflict and although they were tailored for the accreditation of uniformed war correspondents, a "unilateral" such as Terry Lloyd should have been able to rely on protection under international law. In recent years, Britain has shown itself willing to implement the concept of universal jurisdiction - that an offence committed abroad can be tried in a British court. Terry Lloyd's death at the hands of US forces, with all its diplomatic sensitivities, may test to the limit the attorney general's resolve to uphold the concept.